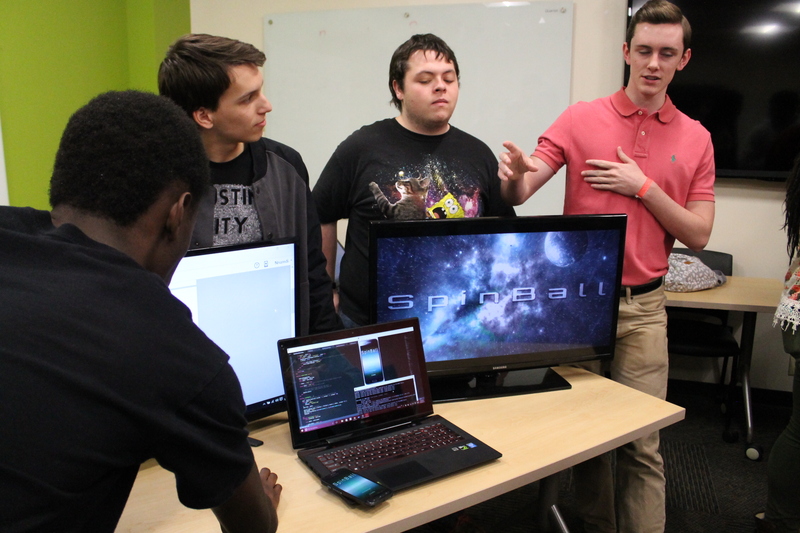 This semester in the Introduction to Information, Technology, and Computing class, students have been working on developing a mobile app. 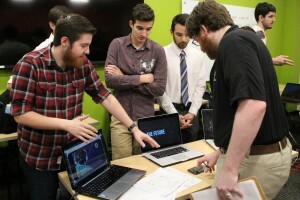 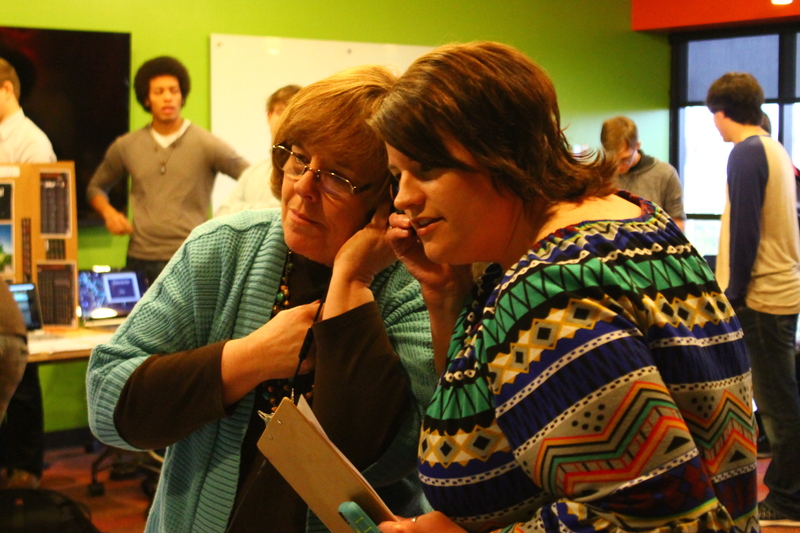 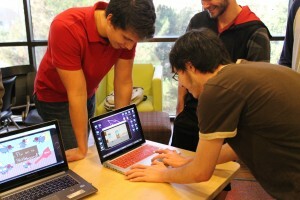 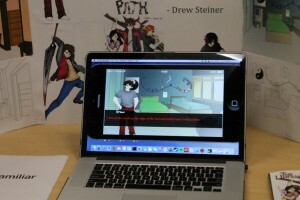 Student groups were given ten weeks to take an idea and develop a working app. This Thursday, they showcased their projects to fellow students, faculty, and staff members. 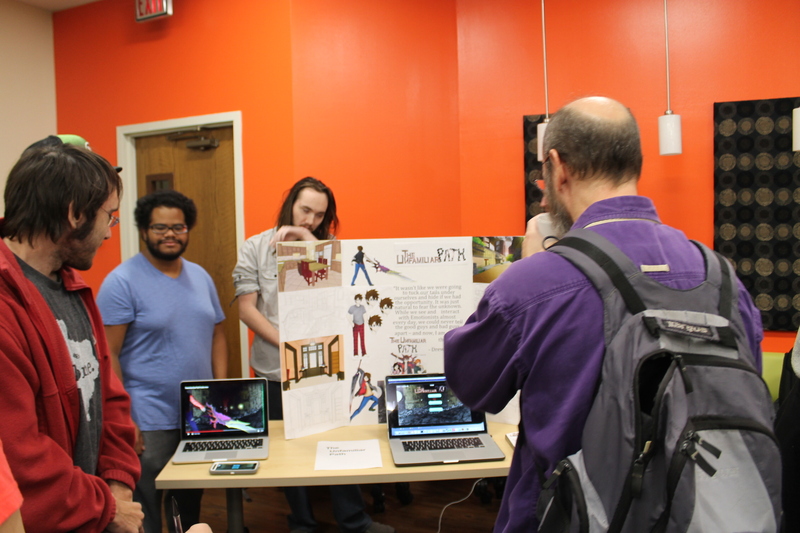 “I learned a lot about sprite making and how to work within a team of various personalities and talents to create a video game. 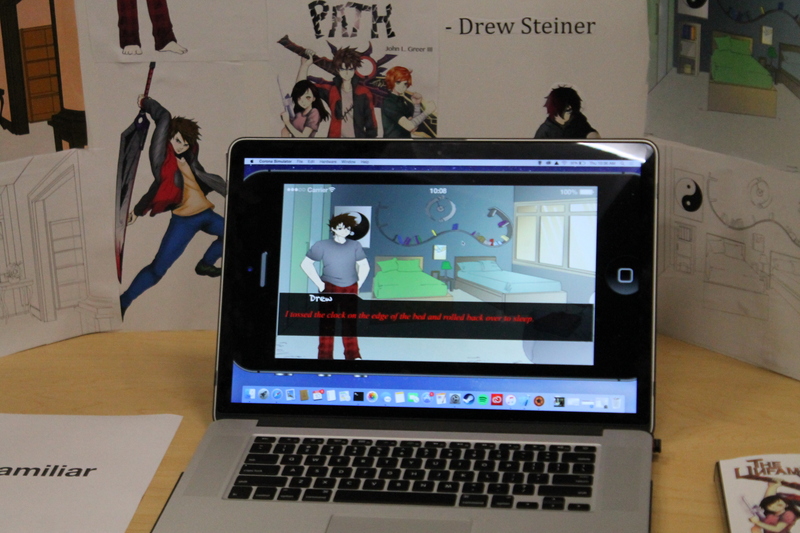 It was challenging and rewarding to see something I created come to life,” says DET student, Hayley Hand. Some of the most notable teams included Barista Buddy, The Unfamiliar Path, Spinball, and Shapes & Colors.